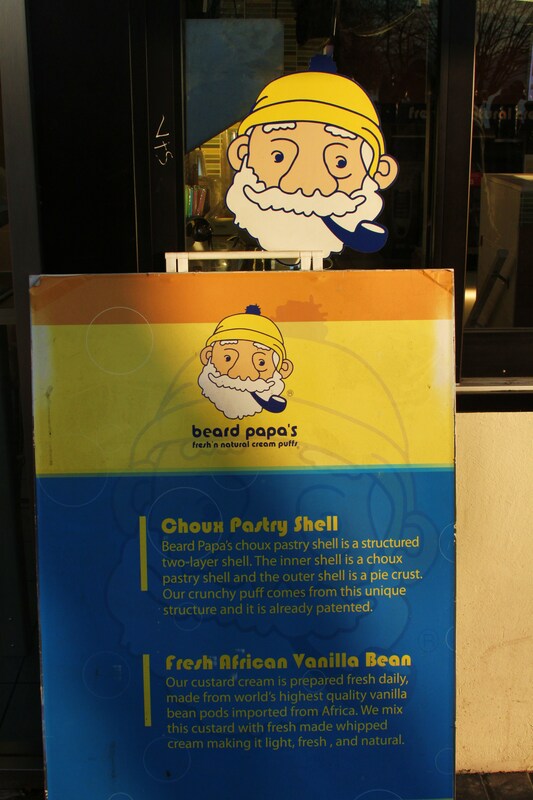 With a name like beard papa’s, one wouldn’t really guess that this was a cream puff chain. 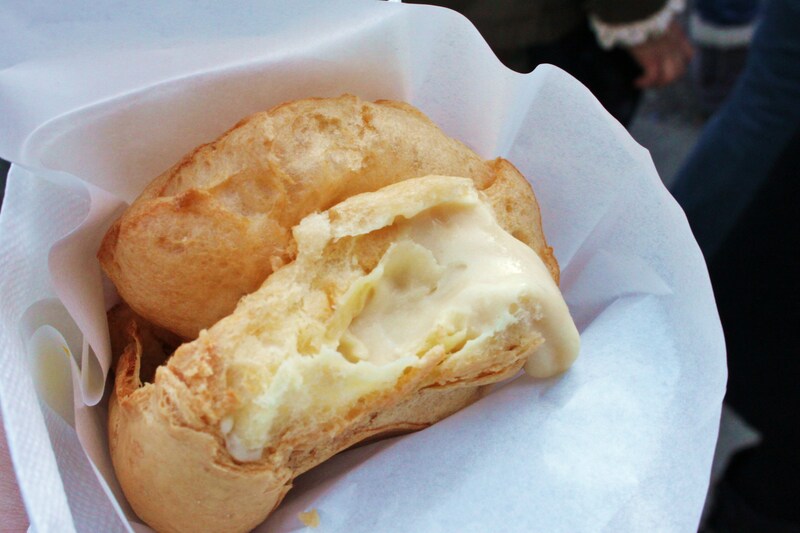 However, this popular cream puff shop has expanded far beyond its Japanese roots, to Vancouver, New York, Sydney, and even London (on Oxford Street). Is it called Beard Papa's because his head looks like the cream puffs (or the other way around)? 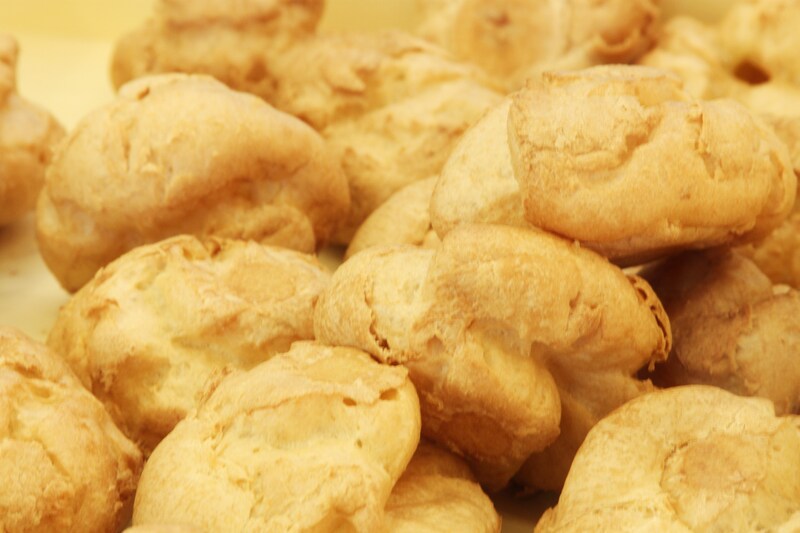 There’s more than cream puffs for sale – they also offer cheesecake sticks and chocolate fondant – but the real stars are definitely those giant cream puffs. 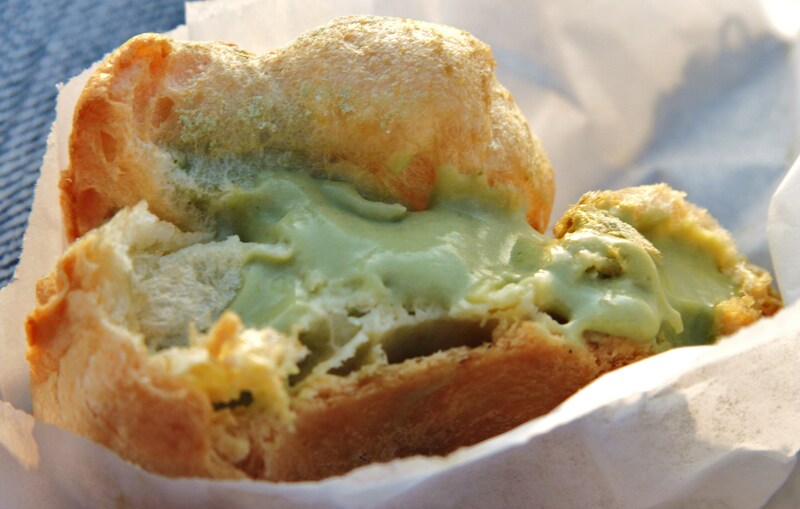 About the size of a small fist, these treats have a flaky outer shell with a freshly-piped creamy filling more akin to custard than whipped cream (though it’s a mix of both) – guaranteed to change your view on cream puffs. In addition to the classic vanilla flavour, they also offer several specialty flavours in rotation: caramel, strawberry, chocolate, and my personal favourite, green tea. Mmm I’m lovin’ your “tourist” Vancouver food posts! I keep meaning to review restaurant with camera in tow but don’t have your kind of dedication. I might go pick a few up tomorrow… they look delicious! Haha, i’m totally livin’ it up tourist-style in my own hometown XD i’m totally shameless when it comes to photographing food!